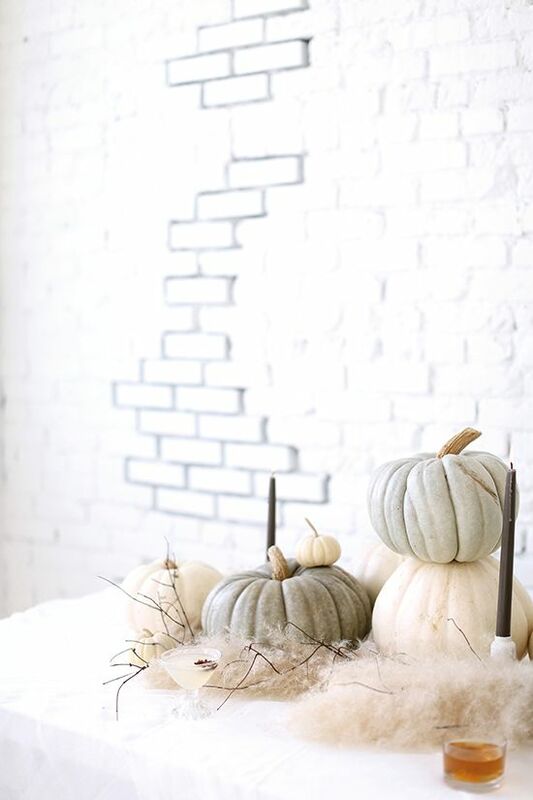 Natural is the new rustic! 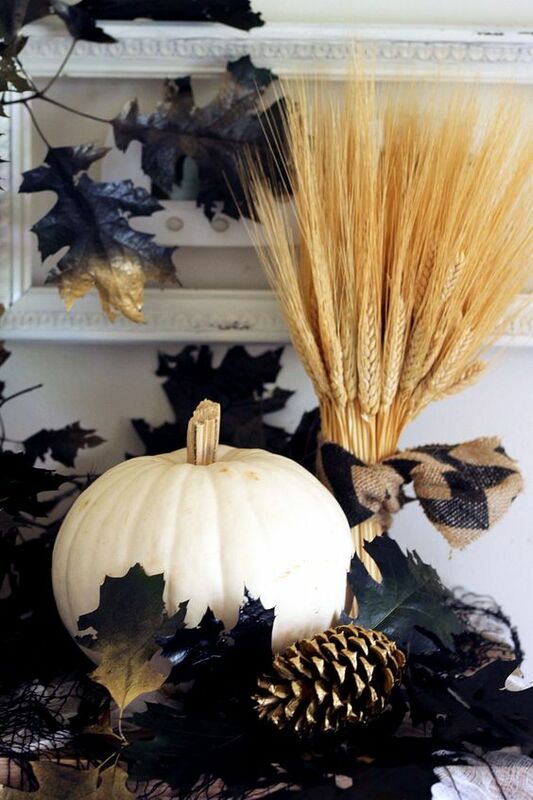 Decorating with natural touches and items brings a peaceful feel to your home and it becomes zen-like. 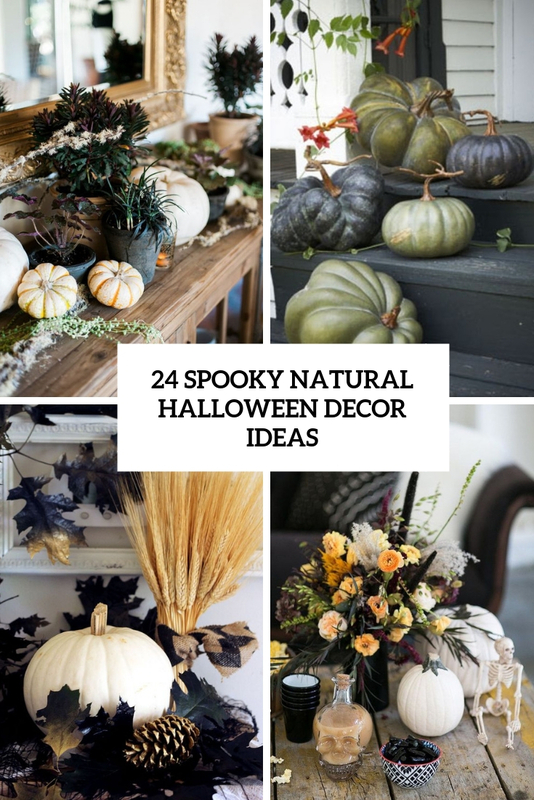 That’s why today I’d like to share some ideas for natural Halloween decor, it’s very unusual and can still look spooky if you want that – such settings really resemble of scary movies! 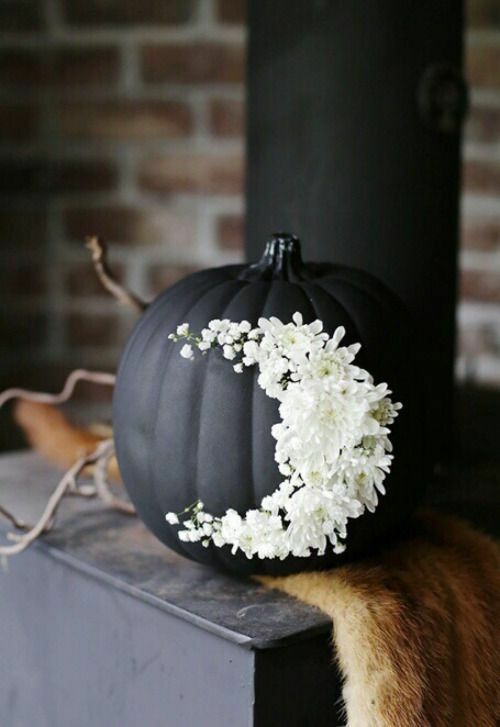 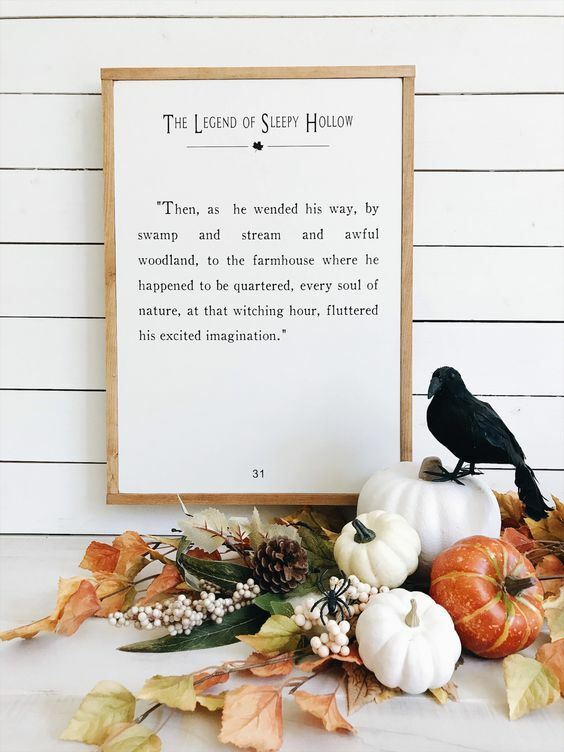 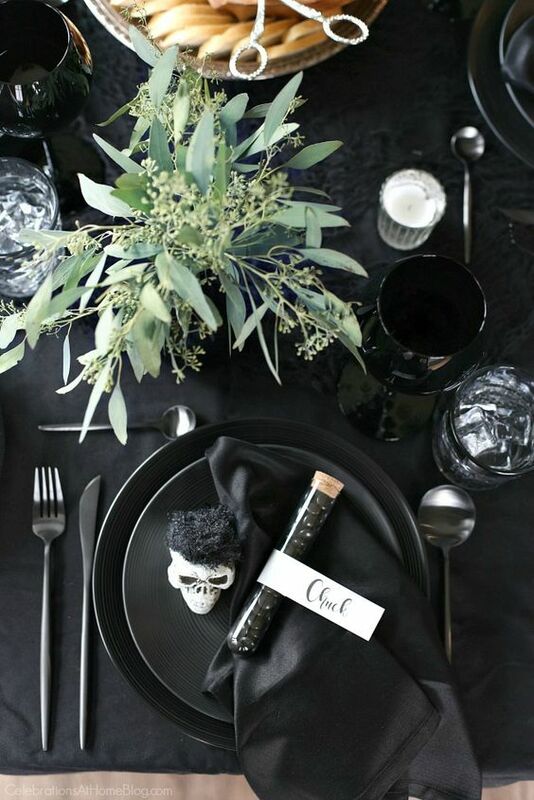 If not – then you’ll get peaceful and stylish Halloween decor, take a look! 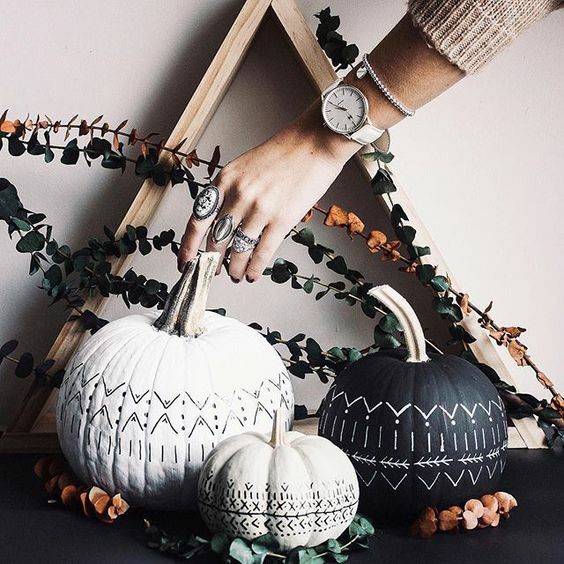 Pumpkins are number one thing in any fall or Halloween celebration, they are symbolic, so rocking them for Halloween decor is important. 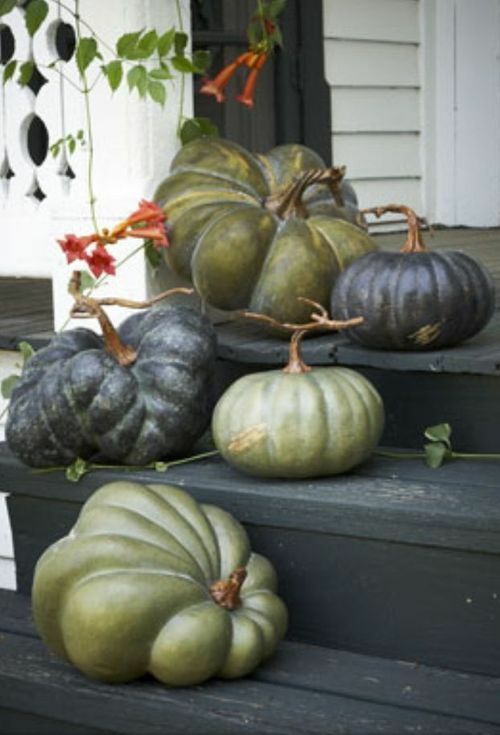 For a natural feel, you may place some heirloom pumpkins on the steps, choose ugly ones to create a spooky feel. 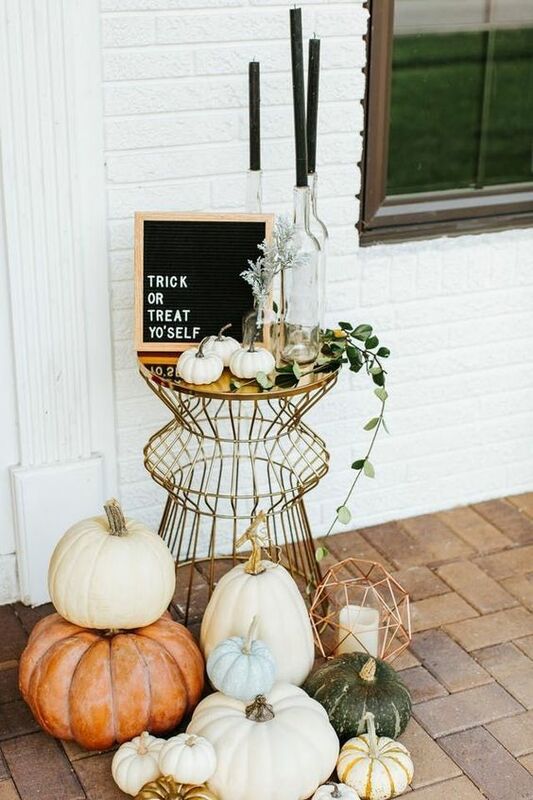 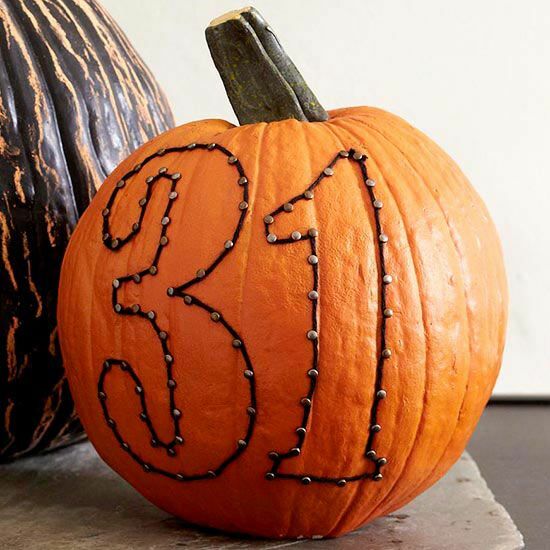 Decorate a pumpkin with fresh flowers and greenery, or decorate the pumpkin with nails and yarn. 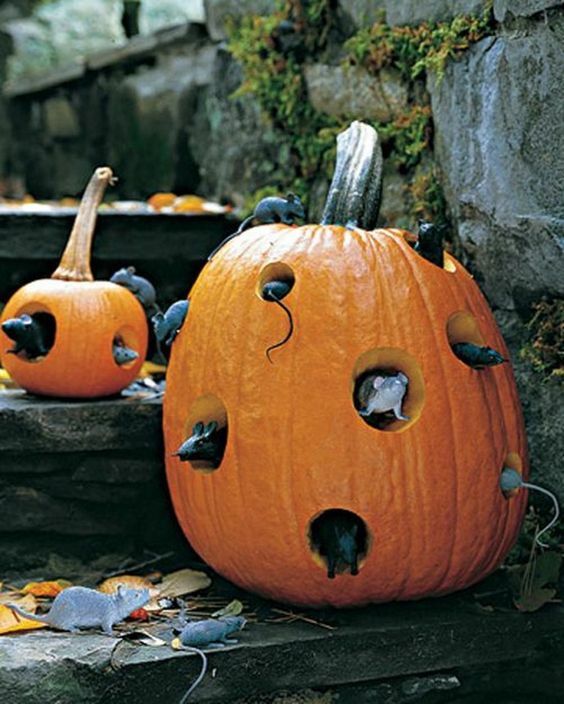 Make holes in your pumpkin and insert some mice for a scary touch – this is a whimsy decoration both inside and outside. 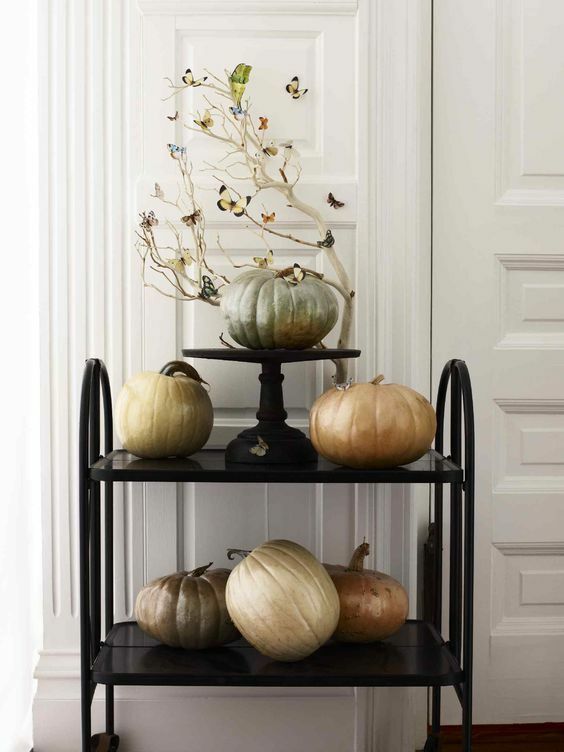 Create bold and cool arrangements using pumpkins, leaves, twigs, fake birds and dark blooms. 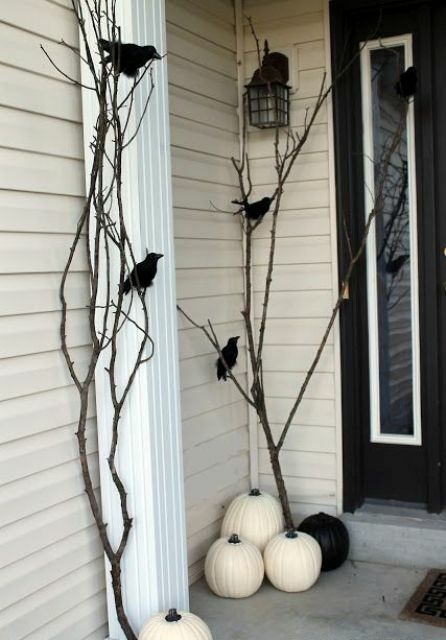 You may go for unpainted pumpkins, wheat arrangements and herbs and then add a fake bird or some painted black leaves. 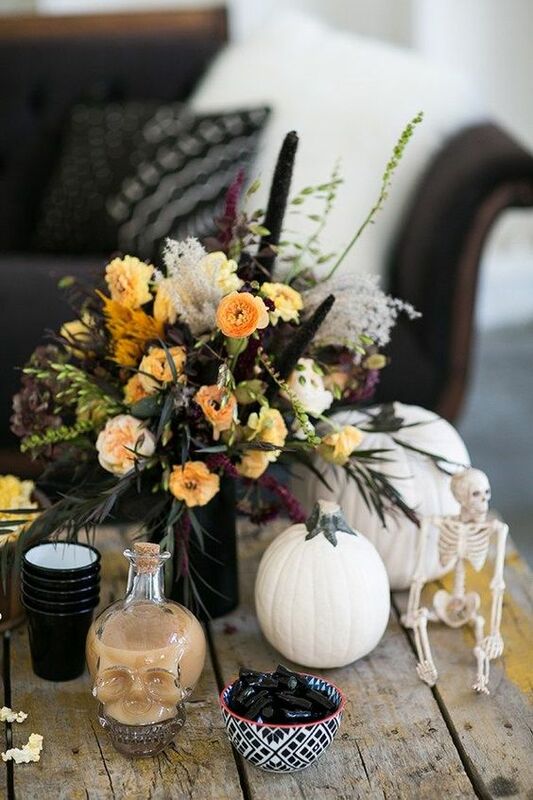 You may create all kinds of arrangements with various natural elements, both indoors and outdoors. 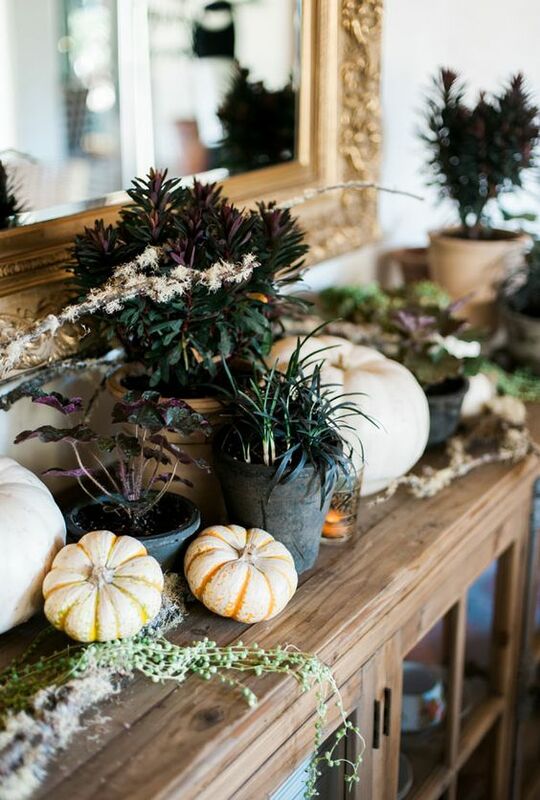 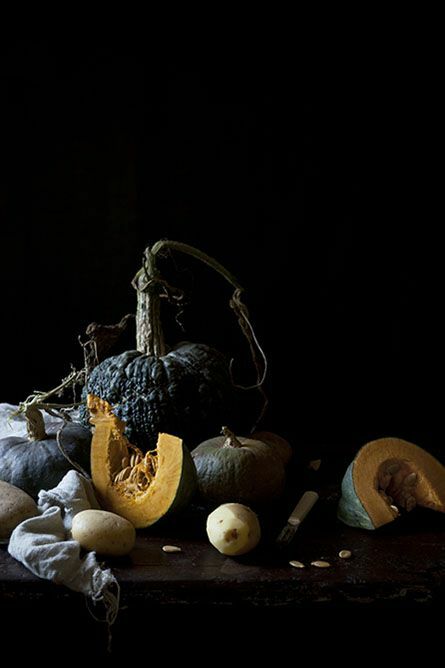 Keep your Halloween table decor natural: stack some ugly heirloom pumpkins as a table centerpiece or runner. 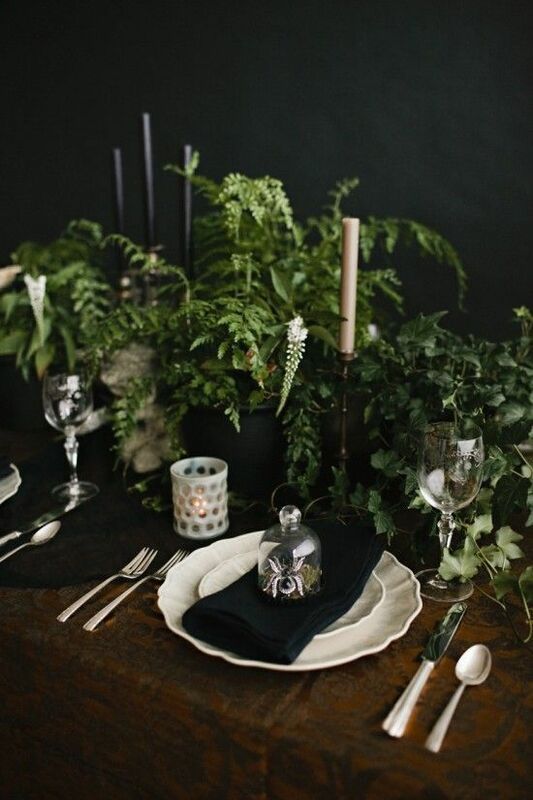 Make some floral centerpieces with bold and dramatic blooms or make the moody tablescape fresher with a greenery arrangement. 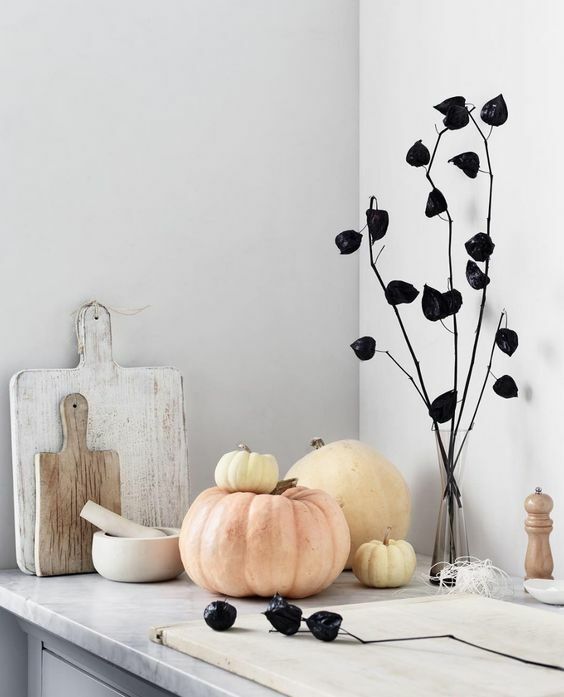 Place pomegranates, plums and grapes into bowls to make decadent centerpieces. 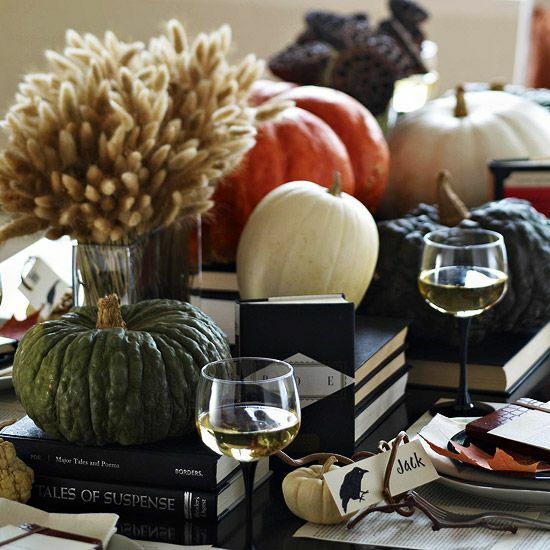 Don’t add any unnatural elements and keep the table uncovered. 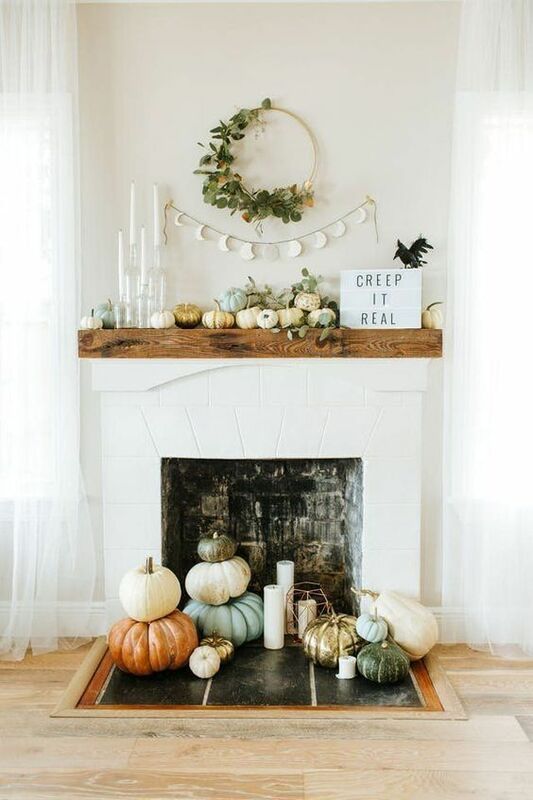 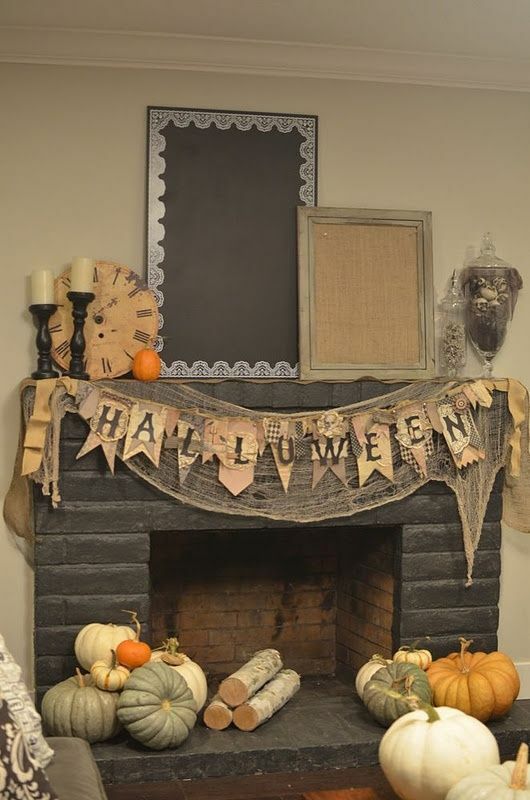 Style your fireplace and mantel with natural pumpkins, nuts, acorns, add foliage and greenery of various kinds – don’t decorate or paint them, just put on the mantel, in the fireplace and in bowls. 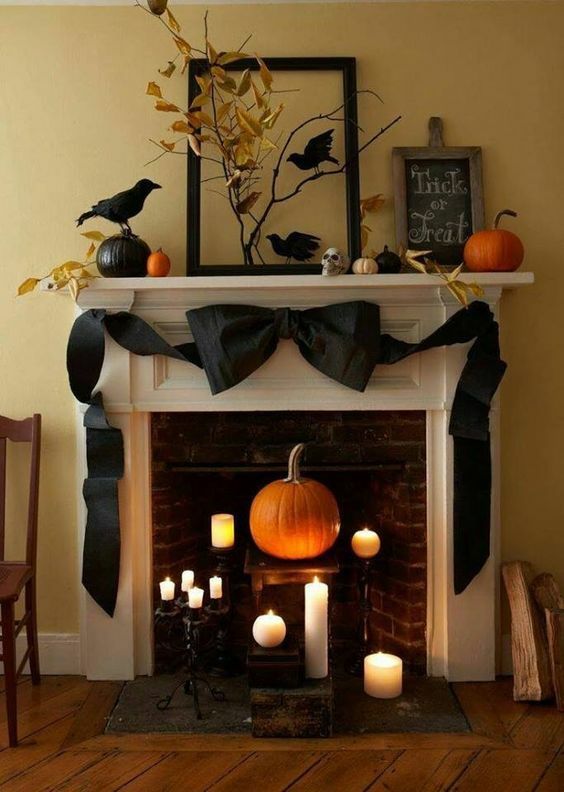 Firewood and candles will raise your space to a new level of coziness. 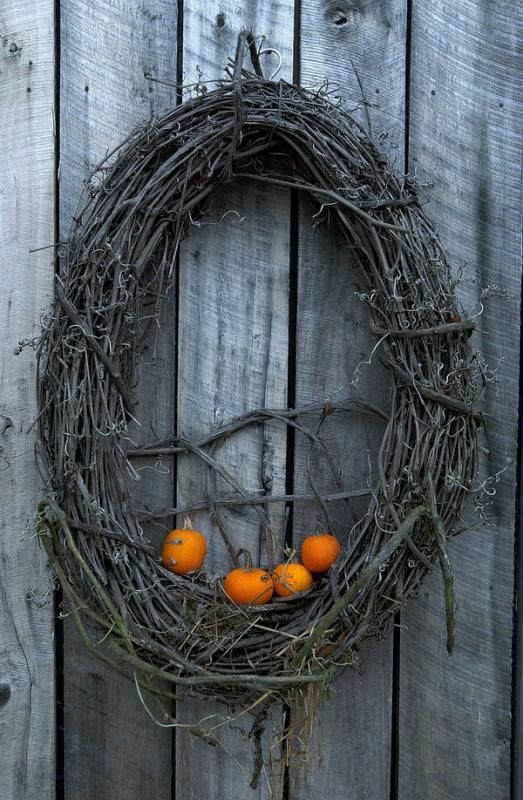 Make a natural wreath of grapevine and add pumpkins and berries to it. 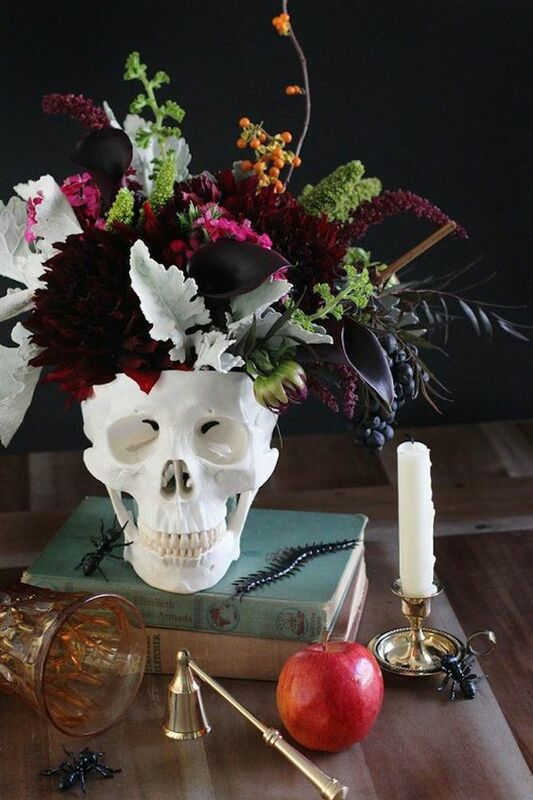 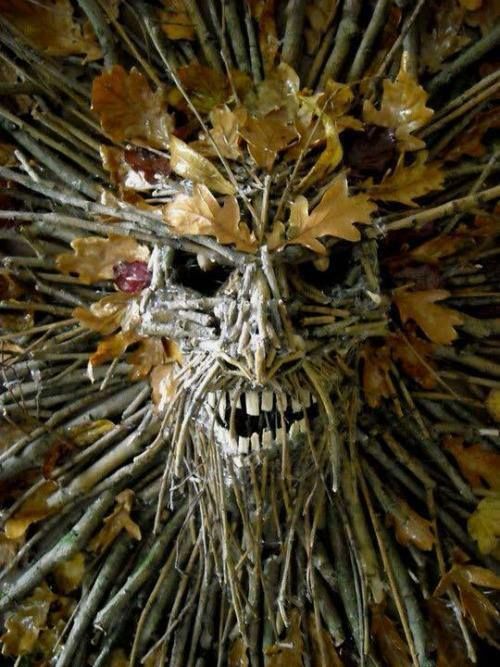 Get inspired for a natural Halloween this year!